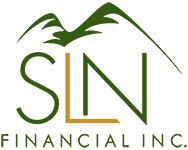 3 Reasons Annuities Make Sense for Retirement Right Now | SLN Financial, Inc. Annuities have been a hot commodity in recent years but can sometimes get a bad reputation. While annuities aren’t for everyone, there are situations where annuities may be the best option available, especially as you near retirement. Here’s three situations where annuities may work best. 1. You want to have guaranteed income for life*. A lot of annuities give the option for get guaranteed income until death. What’s more, these income levels don’t decrease from market volatility, so you won’t lose out on income as you age. 2. You want your assets for retirement protected from taxes**. Other retirement account options, such as a traditional 401(k) or IRA are nice in the beginning as they grow tax-deferred, but once you begin withdrawing that money, taxes start on it as well. If you aren’t planning on taking all your money out for at least a few years, an annuity may reduce your tax load in retirement. 3. You prefer safety in a retirement portfolio over risk. If you see the market’s volatility and get spooked, an annuity may be the answer. Annuities tend to even outperform bank certificates. So, if you’re not one to risk losing your money when you need it most, an annuity will guarantee you income for the long haul. Still not sure an annuity is right for your financial future? Give us a call and we can help you make the right decision for your situation. **Customers should consult a tax or legal advisor regarding their own situation.